Hello my little Xtarz! Living in the tropics means you don't actually have to transition your closet between seasons which is great economically but can be an absolute bore, honestly. One of the best things about fashion is being able to explore your style and create new aesthetics but for the typical islander, it's hard not to get stuck in a rut of the same ol' easy breezy resort ready vibe. And since boots and a trench aren't exactly suitable for this (seemingly) never-ending heat, we'll have to get a little more creative and practical with how we "switch it up" after the summer season. 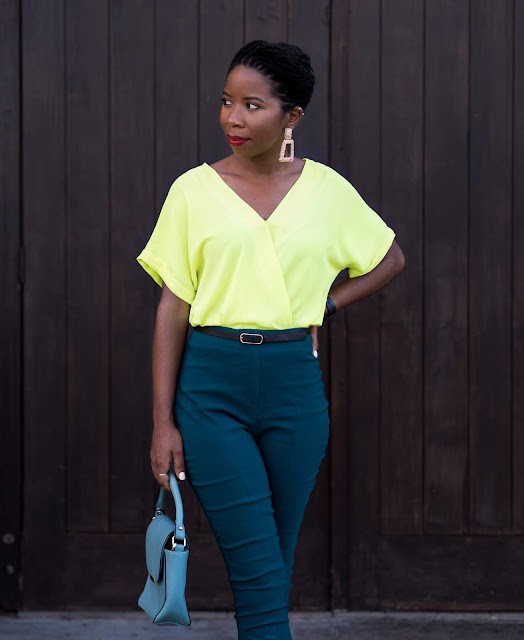 In today's post, I'm sharing an outfit inspired by 2018 fall/ winter fashion with four key elements that are acclimatized but will ensure you're on trend and chic throughout the "new" season. 1. Statement Jewelry: Since summers are hella warm, I prefer very lightweight pieces that will add a little charm but won't bug me too much. 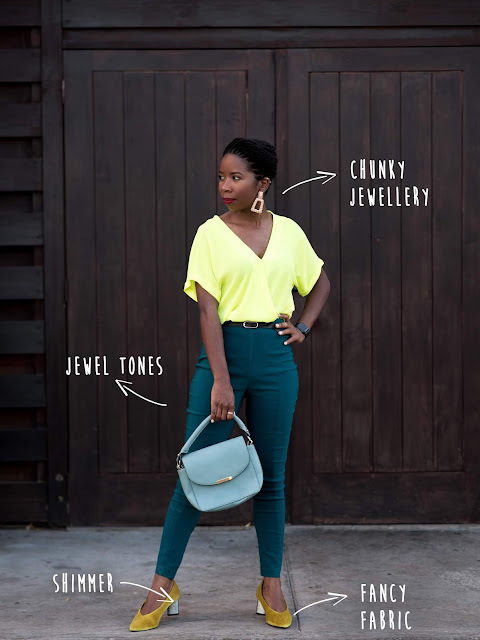 With this new season, I'm all about turning up the chunks and selecting more elaborate - stand out earrings and necklaces. My very favourite piece right now is this pair of oversized vintage earrings from Zara. Chunky gold earrings are super trendy this season so if you haven't added a pair (or two) to your jewellery box as yet, now is the time! 2. 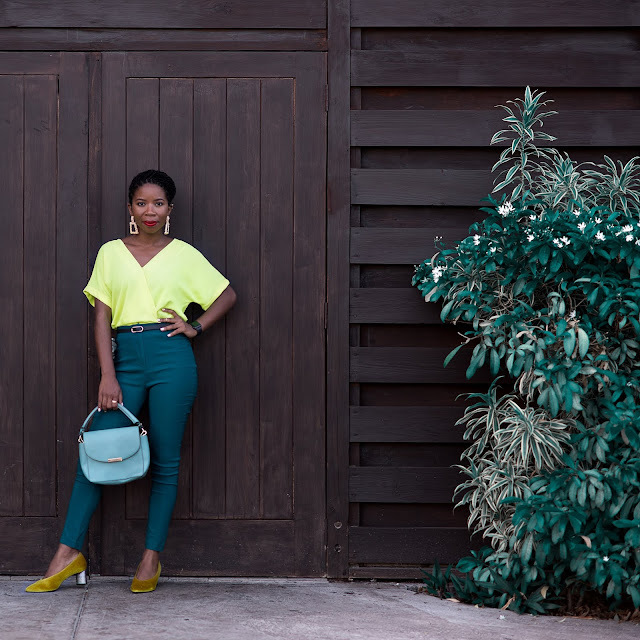 Darker Hues: I'm not a big fan of bright colours and I rarely wear them (never mind my top lol), but especially during the last quarter of the year I'm all about a richer palette. I do have to stop myself from wearing too much black sometimes but for the most part, I'm a sucker for Earth tones and Jewel tone everything! 3. Fancy Fabric: Think velvet, corduroy, silk, satin or anything your grandma would use to upholster her couch or drape her curtains. There is something about the vintage appeal of these types of fabric and how they can make almost anything look luxe when done properly. For this look, I added a pair of Stradivarius velvet shoes in a jewel tone yellow which is also a personal favourite. It's fairly easy to incorporate any of these fabrics into your wardrobe just don't get too carried away. Keep it simple and minimalist for safe measure. 4. Shimmer: Truly, no outfit during the fall/winter season is complete without a little glam. This is the time of year to break out the glitter, sequins and metallics. For this look, in particular, I have a subtle hint of shimmer on the heel of my shoes which elevates the look without overdoing it. I prefer doing light shimmer through my accessories or trimming but if you're a disco ball kinda gal, by all means, shine bright like a diamond baby girl. I get more excited about my outfits this time of year than I do in the summer so I'm looking forward to sharing a few more looks with you later on. 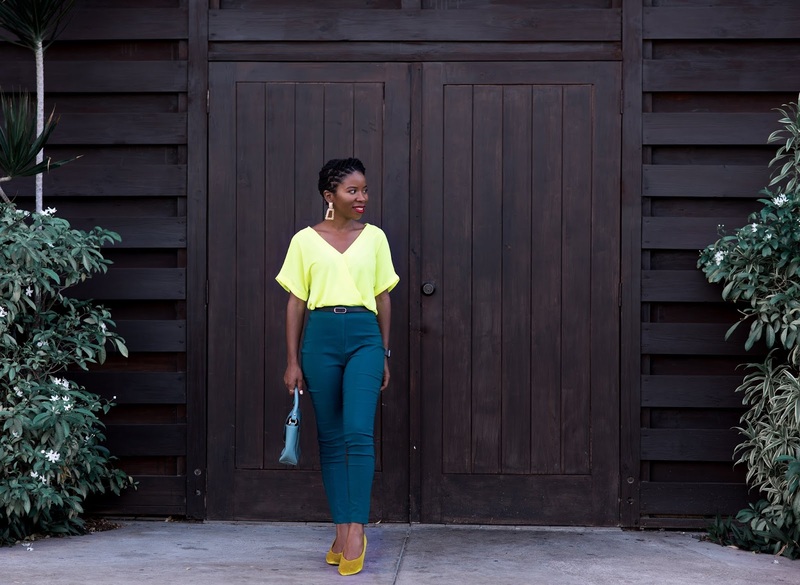 What new trends are you aching to incorporate in your closet this season? Leave a comment to let me know!